Portland Retro Gaming Expo is the reason I moved to Portland in the first place. Well, it's a long-ish story, so I'll try to keep it short – I started vending shows when I was still living in Phoenix AZ. While there I used to also host video game trivia at a local video game arcade and art gallery called CADE. The owners there told me of this magical place called Portland, of the barcade Ground Kontrol, and of course, PRGE, the best dang retro gaming expo in the country. Of course I had to go! I booked myself a flight and that weekend fell in love with the city. I moved there a few months later. I've now been here for several years and kept vending this show. 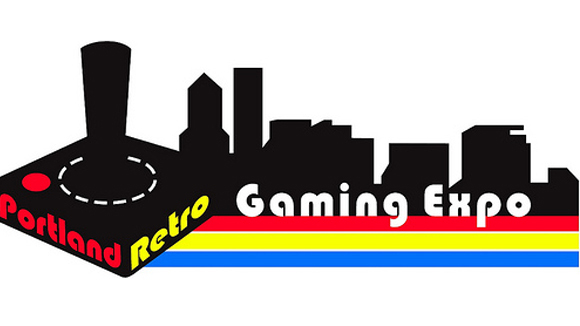 Every year PRGE gets bigger and bigger and has now become the largest retro gaming expo in the whole country! More money is definitely spent on vendors by collectors to find that special piece for their collections, but the artist do well too! Tables are affordable. Would recommend selling – Fan art, jewelry, pixel things, o/c are cool too. It's all good at PRGE. Would recommend against selling – Perler art, plushies. There's too much of it already! Have something super cool and retro/unique to show, bring it to PRGE! It's really great for indie game developers too who can get a table for an affordable price to promote their new projects and network with other local gaming pros. It's a fantastic show. One of my favorite shows to do and I look forward to it every year!